Mobile, AL – Do you know someone with a HEART OF GOLD? UWSWA is proud to honor its volunteers with the Heart of Gold Award, which recognizes volunteers for their dedication and service in the areas of education, health, financial stability, or essentials. The engagement of the hundreds of individuals who volunteer with us each year is critical to the success of both United Way of Southwest Alabama (UWSWA) and its 48 partner agencies. Last year, the work of these volunteers was valued at more than a half a million dollars—money that was invested in programs and services that addressed our communities’ needs. 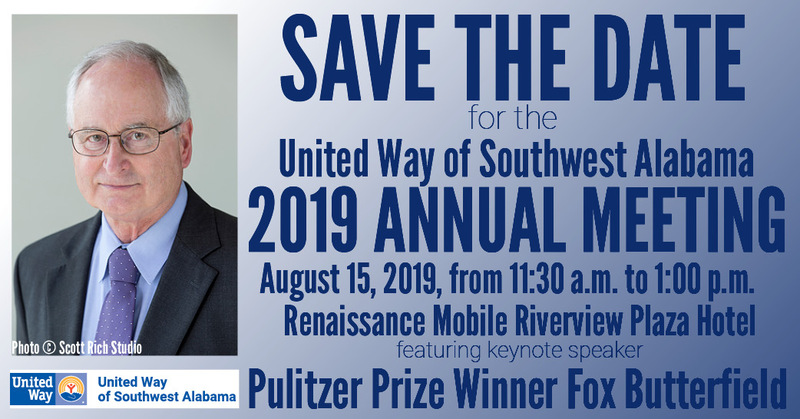 Mobile, AL – United Way of Southwest Alabama’s 2019 Annual Meeting will be August 15, 2019, from 11:30 a.m. to 1:00 p.m. at the Renaissance Mobile Riverview Hotel and will feature keynote speaker Pulitzer Prize Winner Fox Butterfield. 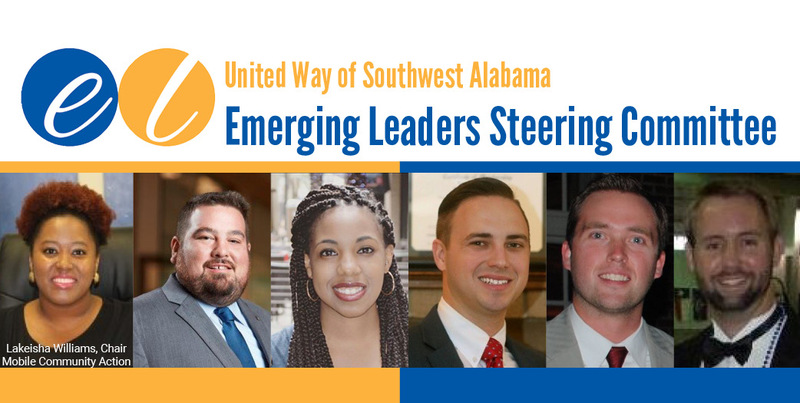 Mobile, AL – UWSWA announced the Emerging Leaders’ Steering Committee on April 15, 2019. The new committee members will provide leadership and direction for the Emerging Leaders. We look for great things to come. 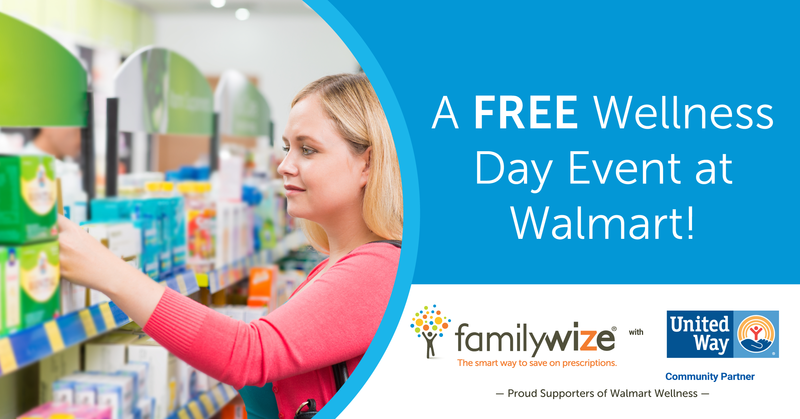 A Free Wellness Day Event at WalMart! Mobile, AL – Come and get connected with your community. UWSWA Emerging Leaders invite participants, between the ages of 21 and 40, to stop by the Engaging the Next Generation (ENG) Volunteer Fair during LoDa Artwalk on Friday, May 10th between 6 and 8 p.m. Mobile, AL – Mobile United and United Way of Southwest Alabama (UWSWA) announced Food 4 Furloughed Feds Food Drive to benefit Feeding the Gulf Coast. The food drive will run from Friday, January 18 through January 28, 2019. 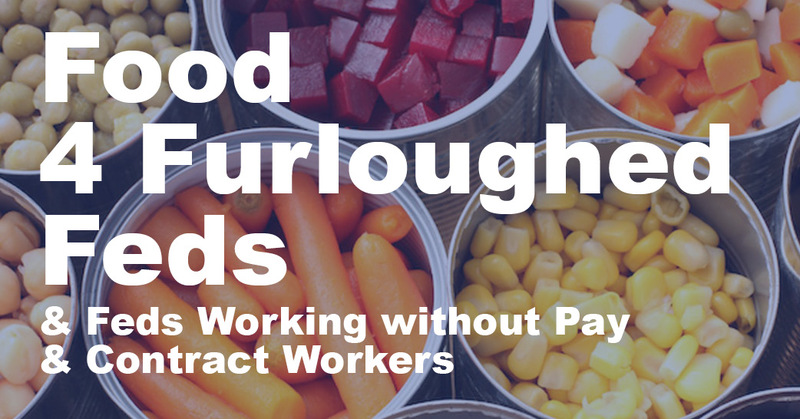 Due to the ongoing government shutdown, thousands of federal and contract workers have not been paid. Many of which live paycheck to paycheck and are facing serious financial crises. Feeding the Gulf Coast is experiencing a significantly greater need for food throughout the community. They are working to meet the current requests while preparing for an extended shutdown in which funding for government assistance programs will expire in February and workers continue to go without pay. 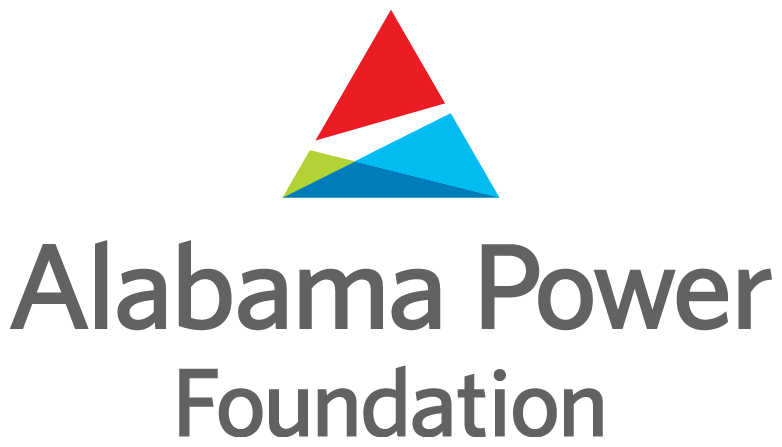 (Clarke County, AL) – United Way of Southwest Alabama (UWSWA) was awarded one of four Alabama Power Foundation Elevate Grants. Elevate grants strengthen communities by funding projects, providing capacity-building workshops and assisting in networking opportunities for non-profit organizations across the state. UWSWA requested the funding to open a United Way Clarke County Outreach Center in Grove Hill, Alabama to provide multiple services to the citizens of Clarke County in one central location. A physical presence will help mitigate transportation challenges as well as increase awareness of the programs and services available to residents. UWSWA also plans to increase funding in the county to provide more resources to its partner agencies. 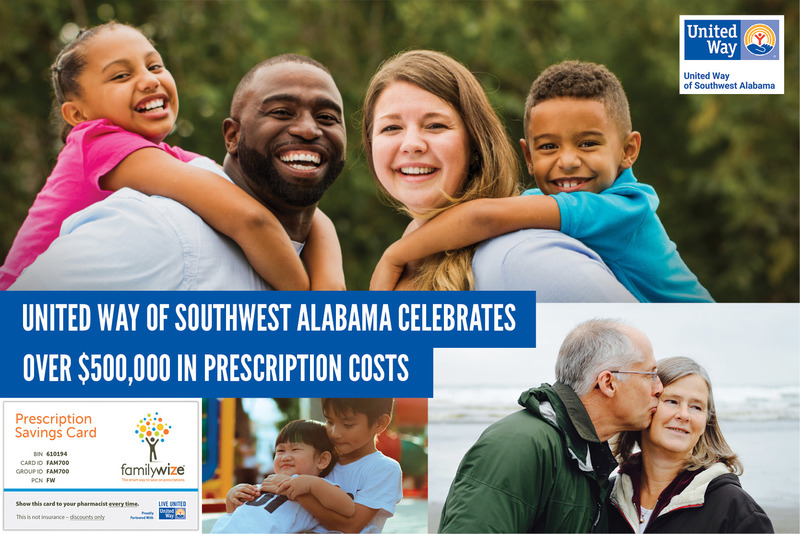 United Way of Southwest Alabama (UWSWA) today announced that South Alabama residents have saved $512,000 on their prescription medications, thanks to its partnership with FamilyWize, an organization focused on improving the health and well-being of individuals, families and communities. Through this partnership, the United Way has helped promote the free, easy to use FamilyWize Prescription Discount Card, which has helped more than 11 million Americans save more than $1 billion on their prescriptions. The United Way of Southwest Alabama hosted an art contest to be selected as the 2018 Holiday Card artwork. There were thirteen entries from five partner agencies. The entries were so strong we chose two winners. 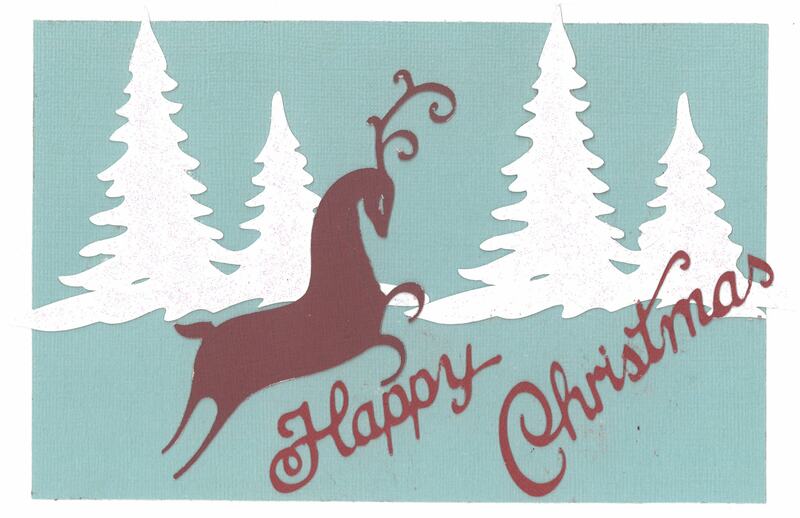 The entry submitted by Brian Pat Smith with the Mobile Arc Marc-Art Program was chosen for the Mobile County card. The art submitted by Frank Manuel with The Arc of Southwest Alabama (formerly ECI) was chosen of the Choctaw, Clarke, and Washington County card. 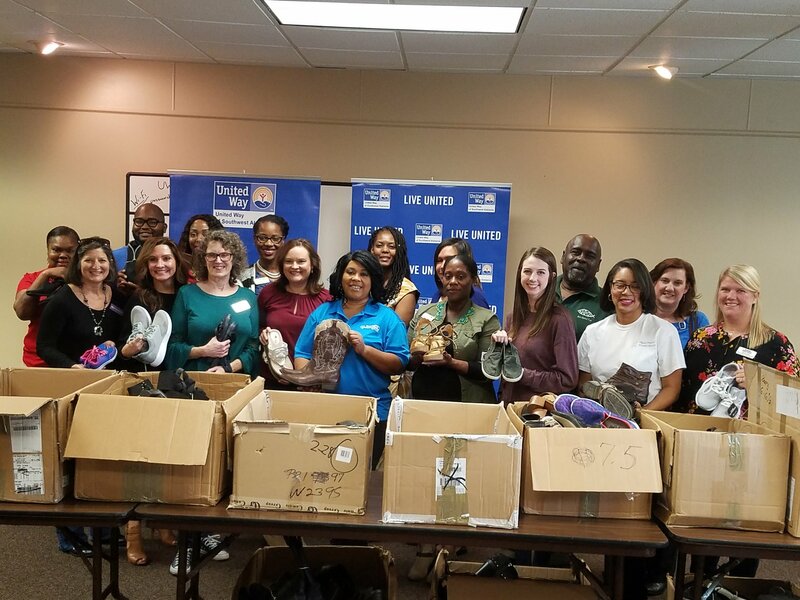 Mobile, AL – Shoe Station donated 482 pairs of new shoes for women and men in various sizes to the United Way of Southwest Alabama (UWSWA). On Friday, November 30, 2018 at 10:00 a.m. UWSWA (218 St. Francis Street, 36602) will distribute the shoes to partner agencies that provide assistance to the homeless and low income individuals in our area. Each agency will provide the shoes to their current clients free of charge. The agencies include: Arc of Southwest Alabama, Arc of Clarke, Big Brothers Big Sisters of South Alabama, Boys and Girls Clubs of South Alabama, Dearborn YMCA, Dumas Wesley Community Center, Family Promise of Coastal Alabama, Goodwill Easter Seals of the Gulf Coast, Lifelines Counseling Center, Mobile Arc, Penelope House, The Learning Tree, The Salvation Army of Coastal Alabama, Victory Health Partners, and Volunteers of America Southeast. United Way of Southwest Alabama fights for the health, education, financial stability, and access to life’s basic essentials for every person in every community we serve.